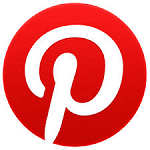 Thank you for visiting my blog, I am so excited to be a Guest Designer for this weeks' Color Dare Color Challenge #160. 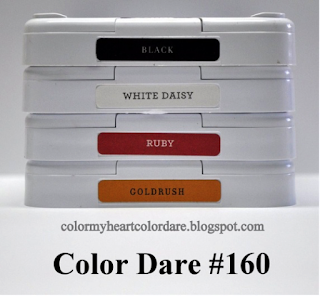 The colors for this week are Black, White Daisy, Ruby and Gold Rush. I created a card for an upcoming crop that I am co-hosting this weekend. 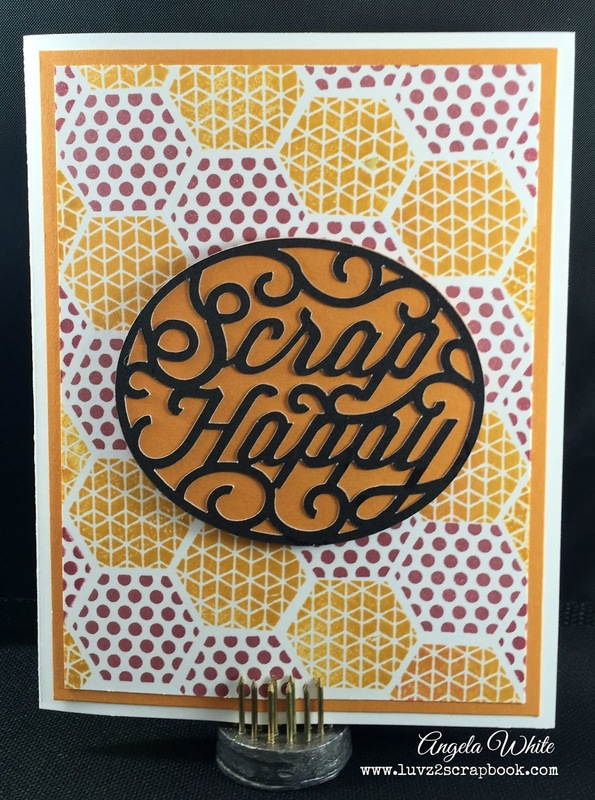 To thank my customers for attending this event, I am going to give each and everyone of them a "Scrap Happy" card. 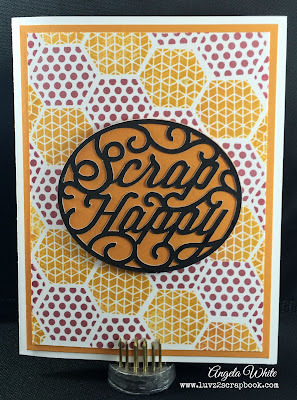 I used the Hexagonal Patterns Stamp Set to create my background and cut the "Scrap Happy" sentiment on my Cricut Explore using the new Close To My Heart Artistry Cricut Cartridge. 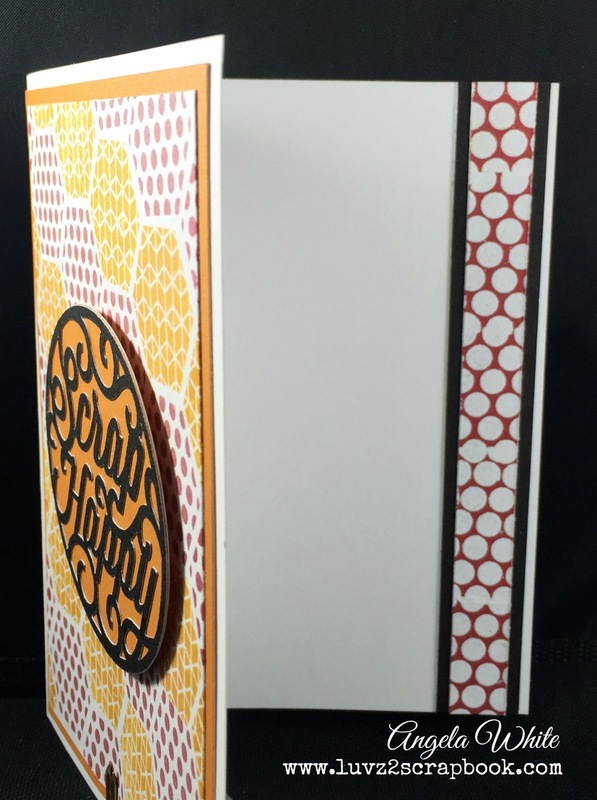 For the inside of the card, I used the larger polka dot stamp, White Daisy Pigment Ink and White Embossing Powder to create the border. I hope you you like my take on this weeks' Color Dare Challenge. Thanks again for visiting and Happy Crafting! Great card! Love how you stamped the background. Great card. Your hexagons are stamped perfectly! Thanks for being a designer with us at Color My Heart. Thanks Michelle, I had a great time creating and sharing! Beautiful card, Angela! I love the sentiment you chose with the beautifully stamped background. 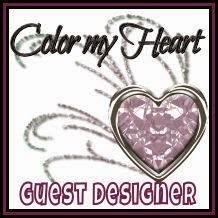 Thanks so much for being our Guest Designer this week--you did a fabulous job! Beautiful card! You did an incredible job stamping all those hexagons. And I always love when the design carries over into the inside. 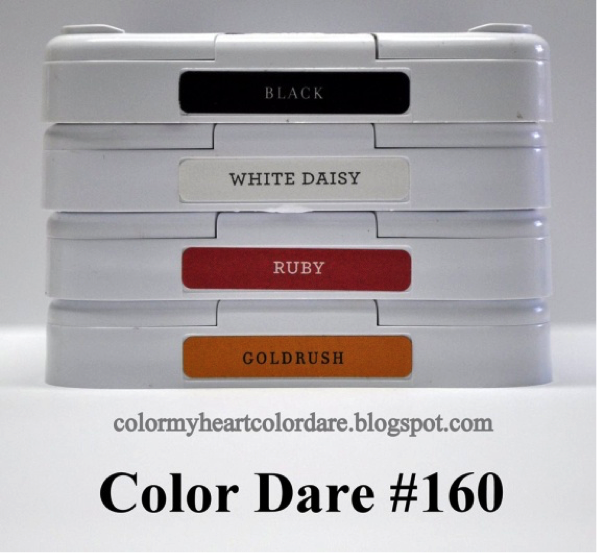 Thanks for being our Color Dare guest designer this week!